What’s the Project? 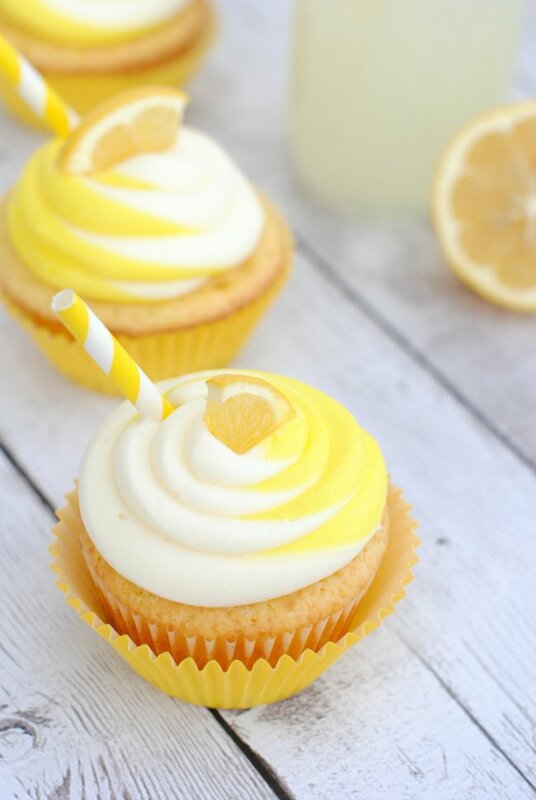 This easy lemon cupcakes recipe is light and airy and tastes amazing! Super easy to make with a doctored up cake mix and topped with a yellow and white swirl of frosting and a lemon wedge. 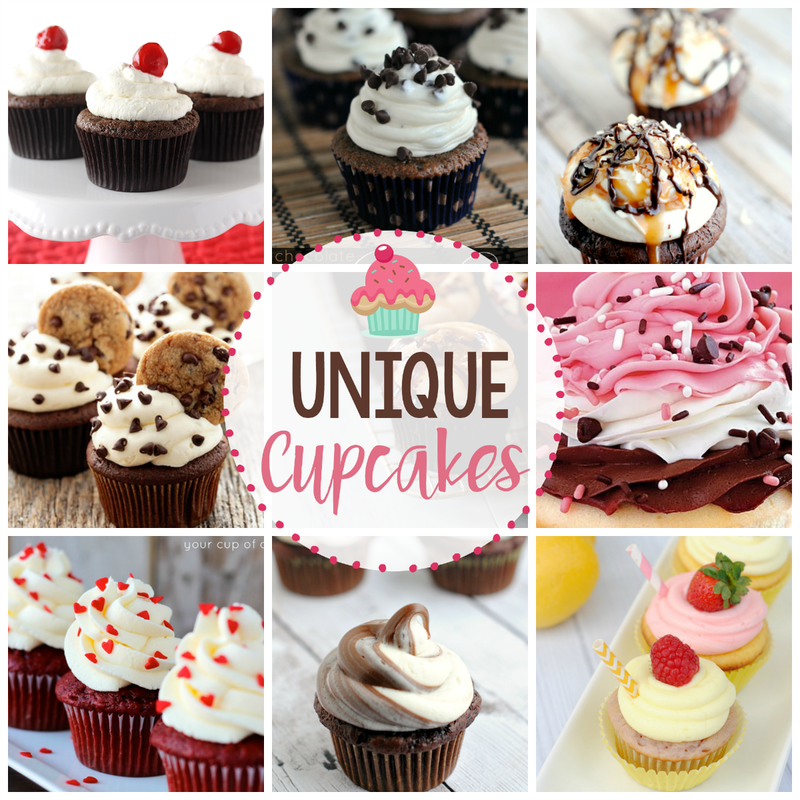 A great cupcake for Spring or Summer! I am sure you know by now, or can tell, just how much I love to bake. I don’t exactly make a secret of it. But I don’t know if I have mentioned how much I love to bake with my kids. It’s one of the main reasons I love baking. It’s fun to have my boys around me in the kitchen, even if they do spill ingredients half the time! They love to sneak tastes of the brown sugar or a blog of cookie dough. This week me and my littlest made some amazing Lemon Cupcakes while the others were off at school. They’re a perfect treat for spring or the coming summer! 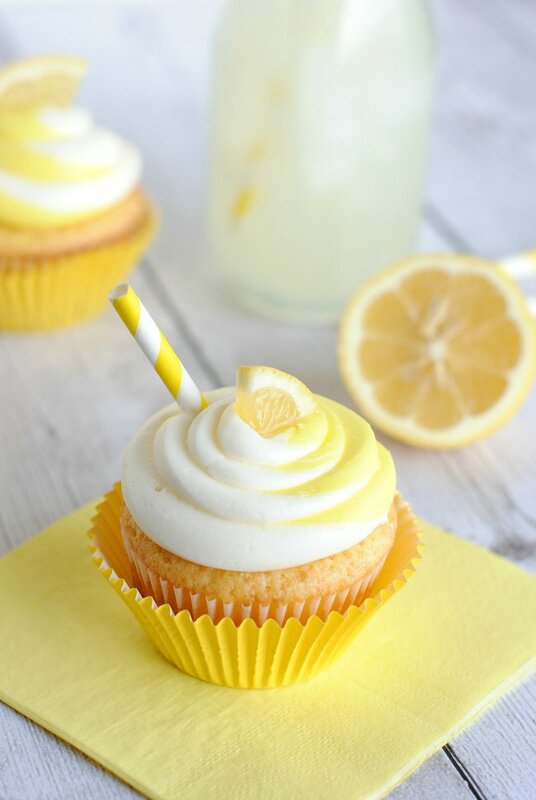 I think you will love this easy lemon cupcake recipe. Plus, don’t they look so pretty! 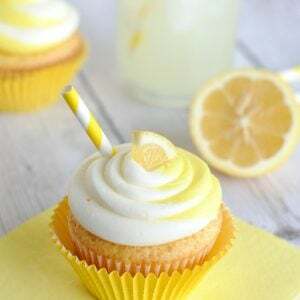 It’s a soft, moist lemon cupcake topped with a buttercream frosting and embellished with lemon and a straw. And to make it extra fun I swirled the frosting, which I will teach you to do! Who wants a yummy lemon cupcake? This easy lemon cupcakes recipe is light and airy and tastes amazing! Super easy to make with a doctored up cake mix and topped with a yellow and white swirl of frosting and a lemon wedge. A great cupcake for Spring or Summer! In a large mixing bowl (I use my Bosch mixer), combine dry ingredients, then add remaining ingredients. This is where it gets fun for my kiddos! They love to help and I love it when they can help without making too big of a mess. 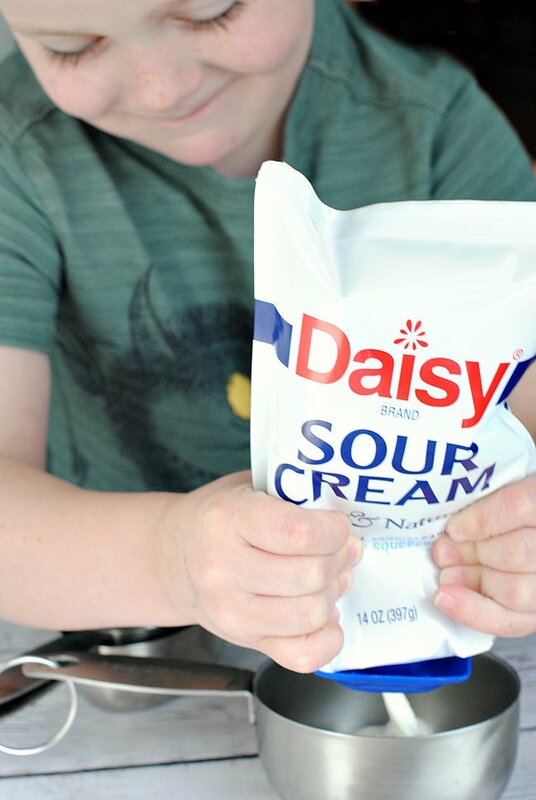 My 4 year old felt so cool that he could squeeze this Daisy Squeeze Sour Cream without any help and mama loved it that it all ended up in the measuring cup without making a mess and heck-I didn’t even have to wash a spoon! So handy! And look at his happy grin. He loved this! Mix all ingredients with a mixer till smooth. Scoop into 24 cupcake liners. Bake for about 18 minutes (for my oven it’s exactly 18-you might need to add or subtract a minute or two). 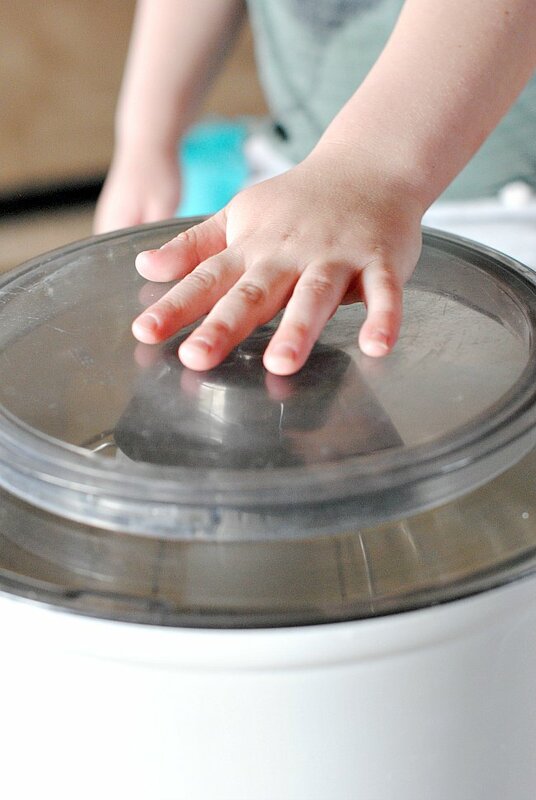 Put two colors of frosting side by side in a large ziplock bag, snip off the end and swirl on. Enjoy! 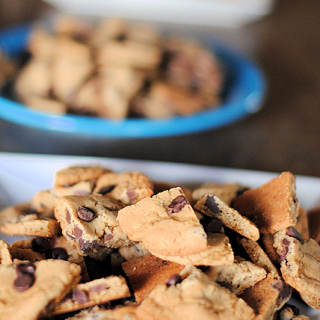 These will be perfect for your next gathering! 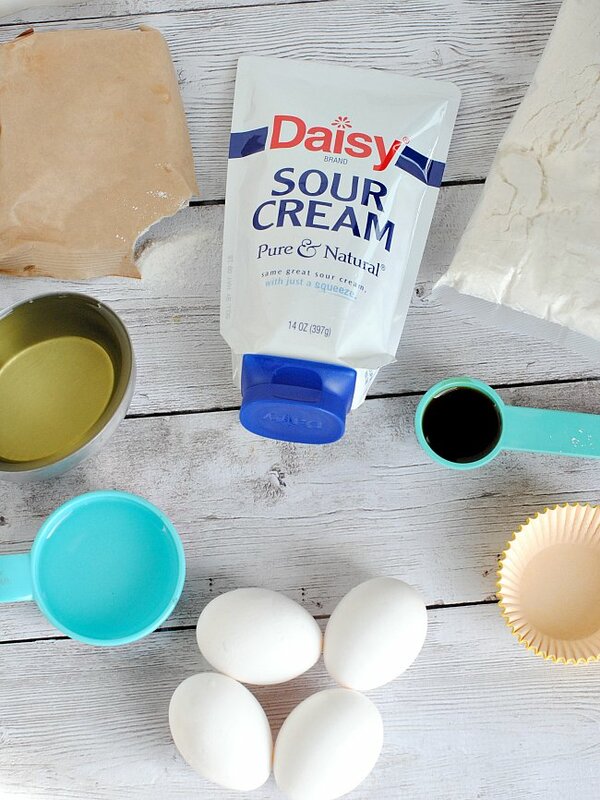 This post is brought to you by Daisy Squeeze Sour Cream. Squeeze more out of Easter with a #DollopOfDaisy. I hope you love this easy lemon cupcake recipe! Hi Amber, This looks delicious! I’m preparing a baby shower cake for a lemon-loving mama-to-be — could you convert this to two (or three) nine-inch rounds? How long would you bake it? Yes, I have done that. I can’t remember the exact baking time-definitely longer than the cupcakes. Just keep an eye on it and when you can touch it and it bounces back you are all set! Yum- I made these for my business and they sold out quick!! Wow! Can’t wait to try these! Very creative and thanks for sharing! Ok I am officially drooling. What I wouldn’t pay for any of these. Yum – can’t wait to try these! We only buy Daisy sour cream. Seriously. My hubby is a food snob and it’s the best! Found it :) How fun! 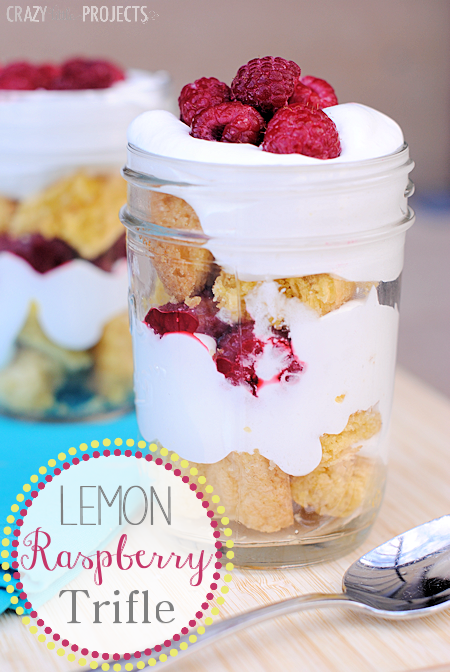 I love anything lemon flavored …..
who won the gift card giveaway?? They’ve all been emailed and claimed their prize! I loved and enjoyed baking them. Have you tried filling these lemon cupcakes with lemon curd? Love your swirled frosting! Will make these for school staff birthday celebration. Made the salted caramel ones for our last celebration and they were a huge hit! Thank you!